The CoilMaster SkyNet Reviewed: Close Encounters Of The Cloudy Kind! Coil Master ELFY RTA Review – A Tiny But Magical Vape? 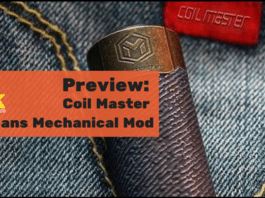 Coil Master Matrix Mechanical Mod Preview – Cyberpunk!